My wife and I have known Warren and his wife, Megan since “pre-politics” days. We know him to be a dedicated public servant focused on doing the people’s business. I have never known a public servant with stronger constituent services than Warren’s. I encourage all voters in the 157th to support Warren. 2. He voted no to legislation that prohibited certain licensed employers from hiring undocumented workers. Looks like Kampf is soft on illegal immigration. It’s a fiction that Kampf is bi-partisan. He’s a tool for the GOP and typical GOP talking points. I wonder if Warren will come out to save the Covered Wagon Inn! He’s always had an eye for political opportunity, back to the Tredyffrin sewer fee-not-a-tax days. My little recent experience supports the first commenter here, though – his constituent service operation has been strong. The helpful voting record link shows that he can break with the party when it is safe to do so: the vote against (against!) the bill that allowed NRA supporters to sue townships to overturn their gun ordinances is one example. (But was he originally a sponsor of that? HB1243. Hmm.) 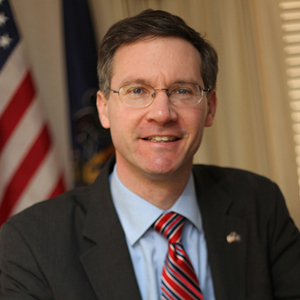 I get the sense he would support some kind of gas extraction, too – another common position for SE PA Republicans. It’s time now, though, for him to move into a leadership position to help bring actual government to Harrisburg.